SchoolHack was founded by pioneering educators with extensive experience and a driving passion to create a responsive and equitable educational system. Our team of dedicated professionals from education, mental health, technology and business work with schools and districts to better engage students and build sustainable systems of personalized, competency-based learning. Josie has helped to design two nationally recognized, competency-based, personalized learning programs. The majority of Josie's 25 year teaching experience has been spent designing student-centered curriculum and competency-based learning systems. Based on this experience, she has a unique understanding of what teachers need as they shift to a more personalized approach. Ever since she taught in the public schools of Kobe, Japan, Josie has understood the value of connecting with students around their needs and interests in order to foster engagement and establish a basis for quality instruction. Through her pioneering work with graduate, middle and high school students, Josie is one of the few educators with the practical experience needed to guide others through the process of educational redesign. David brings skills in systems thinking and a background in mental health to his role as SchooHack's CEO. In his clinical mental health work with children and families, David specialized in engaging with particularly challenging populations by building trusting relationships that enabled meaningful learning and growth. He is knowledgeable about behavioral intervention, self-regulation skills, social-emotional development, and trauma-informed systems of care, especially as they relate to the design of optimal learning environments. He has worked as a school-based clinician, a musician, and an educator at the college and middle school levels. He is the proud father of three wonderful children. Kevin brings a unique and diverse educational and professional background holding several advanced degrees in leadership, education, information technology and managing innovation. 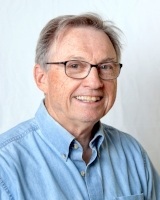 Kevin has served as an administrator and educator in higher education working over the years at Syracuse University, The University of Vermont and Champlain College. More recently Kevin was the Chief Information Officer for a national virtual photography company. Kevin is a trained team building facilitator and has over 20 years experience supervising and managing complex human resource and technology issues. Ed comes to SchoolHack with over 20 years of experience as a middle and high school math and science teacher. As the Guidance Director at Mt. Abraham Union High School, Ed served on the Vermont Framework of Standards, and the High Schools on the Move task force which produced 12 principles of personalized learning and became the basis for Vermont's Act 77. Ed brings his extraordinary organizational skills to the SchoolHack team and works with the company's Education Design team to develop and deliver professional development, implementation strategies, support to teachers, and product development initiatives. Ed serves on a number of educational and community boards and currently co-coaches the Mt. Abraham rowing team with his wife.